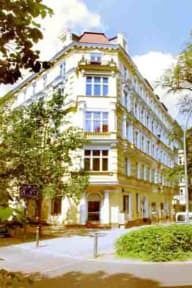 Located in the heart of Berlin in a typical 'Grunderzeit' building of 1895, this is a special kind of B & B where we offer a relaxing, economical stay in an atmosphere that's a bit different from the usual. You'll find us in Schoeneberg, one of Berlin's most pleasant and popular areas. And while there is a superb range of shopping, eating and culture on offer nearby, the streets around the B & B itself are leafy and quiet a real haven in the middle of the city. Bus and U-Bahn connections are within a minute's walk so it's easy to get to anywhere you want to go, no matter which of Berlin's numerous attractions you want to visit. If you want a taste of the gay and lesbian scene, or you want to take part in Berlin's Christopher Street Day festivities, the bars and cafes around Nollendorfplatz are easily reached on foot. At Berliner B&B we offer six individually decorated rooms, each with its own theme and all facing onto a quiet side street. Prices include breakfast, use of kitchen facilities, sheets and towels. The owner is very kind and accommodating. Clean and secured accessible to transport. This property was located on a quiet street with good access to public transportation. The facility was clean and provided access to toiletries such as shampoo, body soap etc. Andreas was very knowledgeable on sightseeing and had recommendations for places to go and restaurants to enjoy. I would highly recommend this cosy bed and breakfast to anyone as it made us feel very welcome and comfortable. the host is very friendly n shared with us places to go n really made us feel at home. i will go back again given a chance. thanks again for the hospitality. 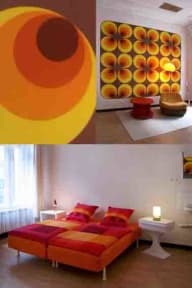 We love our hostel at Berliner. It felt like our home away from home. The room was very spacious and the bath room was very clean and beautiful. Foremost important which made our stay fun was the owner - Andreas. He was very helpful and fun to talk to. Very enjoyable. Clean and professional! Andreas was extremely helpful and friendly. Would definitely stay there again! The location is perfect, very close the two U and S train. The place is clean and quite. The owner is super helpful, he show us with the map of Berlin and point to the recommend places. I would recommend this place ! Nice staff. The biggest inconvenience was not being able to pay with a card, taking out large amounts of foreign currency isn’t ideal. The location was good, quiet. The shower was “push down”’operated, meaning you had to push the nozzle down every eight seconds for continuous water. This was my first B&B, I think next time I’d rather stay at a hotel, more privacy in my opinion.